Whether referring to a place, a nonhuman animal or plant, or a state of mind, wild indicates autonomy and agency, a will to be, a unique expression of life. Yet two contrasting ideas about wild nature permeate contemporary discussions: either that nature is most wild in the absence of a defiling human presence, or that nature is completely humanized and nothing is truly wild. Wildness, edited by Gavin Van Horn and John Hausdoerffer, charts a different path. Exploring how people can become attuned to the wild community of life and also contribute to the well-being of the wild places in which we live, work, and play, Wildness brings together esteemed authors from a variety of landscapes, cultures, and backgrounds to share their stories about the interdependence of everyday human lifeways and wildness. Gavin Van Horn is the Director of Cultures of Conservation at the Center for Humans and Nature where he develops and directs interdisciplinary projects relevant to the resilience and restoration of human and natural communities in the Chicagoland region. John Hausdoerffer is Professor of Environment, Sustainability, and Philosophy at Western State Colorado University, where he also serves as Executive Director of the Center for Environment & Sustainability and as the Director of the Master in Environmental Management program. "...on my cabin’s rough-hewn shelves, Wildness [has] found a home beside my Colorado Trail Guidebook, there to teach me to live beside wild lands, to turn toward wildness, in partnership with my wife and our daughter, so that we may learn from her (and our) native self-will." "This amazing amalgam goes at the issue of nature, wildness, and our relationships to it via personal story, lyrical verse, and reflection. It is storytelling and word-singing at its best...and a book I simply want on my bookshelf to pull down and read words that flow like water but have the lasting impact of fire." "Wildness is ultimately...a demystification. Its essayists seek to reconcile our lives with nature, to expose the two as interlaced—and to let that relationship enhance the wonder of wildness." 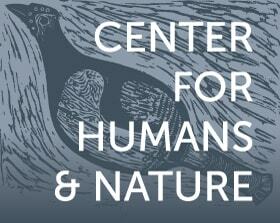 Enrique Salmón discusses "kincentric" ecology and indigenous perspectives of "wild." Laura Watt reflects on the loss of Drake’s Bay oyster farm. Discover how Green Corps Chicago has become a leader in the ecological restoration movement. Seth Magle of the Lincoln Park Zoo Urban Wildlife Institute explores wilderness in urban areas. Michael Howard talks about the community around Eden Place Nature Center on Chicago's South Side. Aaron Abeyta reflects on the sacredness and wildness of the land he grew up on. Devon Peña talks about "water democracy" in acequia communities. Mistinguette Smith discusses her work with the Black/Land Project and connecting people to the land. Rod Nash contrasts the human tendency to control the environment with "wilderness."